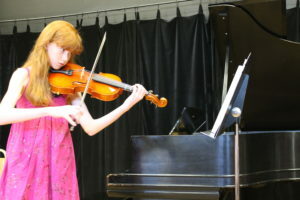 PAC offers individual lessons for students of all ages. Our faculty are highly trained in their respective fields and pride themselves on educating the whole person – helping students of all ages learn the skills, enjoyment and magic of the performing arts. PAC offers two 17-week semesters of lessons during the school year, and individually scheduled lessons during the summer. 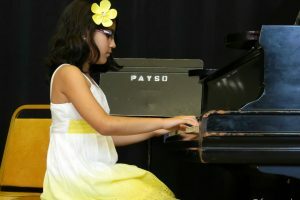 For instrument or voice lessons, PAC recommends scheduling a free 30-minute initial consultation for prospective students with an instructor before committing to a 17-week semester. The 30-minute consultation, which is similar to a lesson, serves as an important way for students, parents and teachers to get to know one another, and offers a way to discuss goals for lessons. Call the PAC Office at (508) 875-5554 to schedule an initial consultation or schedule lessons. Due to the complexity of scheduling individual lessons and matching students with teachers, you *MUST* call the PAC Office to confirm lesson, time and teacher before you complete the form. Ongoing registration is available throughout the year, but the calendars below show all current schedules. Piano & Organ Recommended for ages 3 and up. Viola & Violin Recommended ages 3 and up. 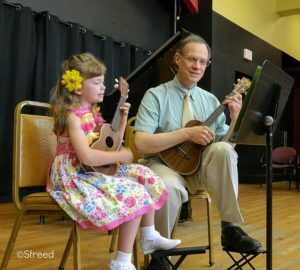 Ukulele Recommended for ages 5 and up. Drums & Percussion Recommended ages 6 and up. 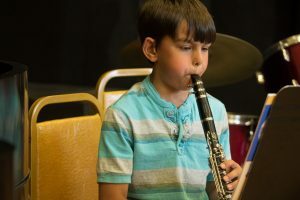 A child’s hand and eye coordination are important factors to determine when lessons should begin. Guitar (Acoustic, Bass, & Electric) Recommended for ages 7 and up. Trumpet Recommended ages 8 and up. Voice Required age 12 and up. Developmentally, children are not ready for voice lessons until age 12. Starting voice lessons too early can hurt the vocal chords. It is also important that lessons are taught by a voice specialist.